The Hocking Hills region features hundreds of miles of trails for visitors to hike in the Hocking Hills for free including those at Hocking Hills State Park (Old Man's Cave) and Hocking State Forest. There is boating at Lake Logan and even plenty of areas to shop. Old Man's Cave - Old Man's Cave has beautiful waterfalls, steep cliffs, unique bridges and rock tunnels. 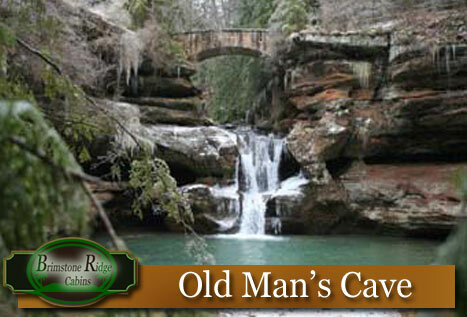 Old Man's Cave hiking trail is approximately 1 mile long and takes about an hour to hike. 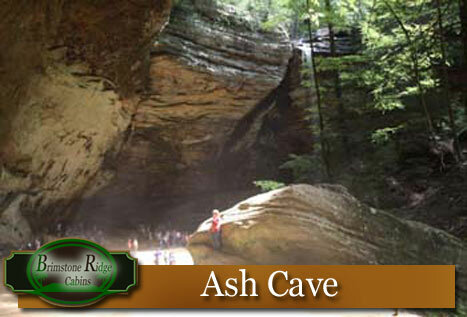 Ash Cave - Ash Cave features a winding asphalt trail that leads to the largest recess cave in Ohio. It also has a seasonal waterfall and rock formations. There is an upper and lower trail at Ash Cave, each one approximately a 1/2 mile long. The lower trail is wheelchair accessible. It takes approximately 30 minutes to hike the trail. 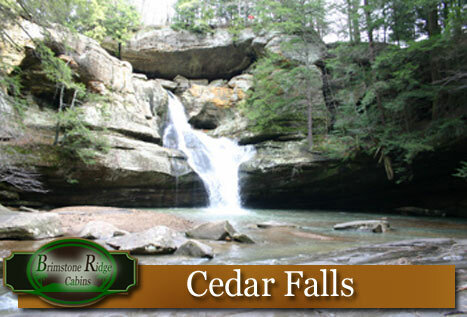 Cedar Falls - Cedar Falls features a seasonal waterfall and also a beautiful trail surrounded by hemlocks. The trail is about a 1/2 mile and takes about 30-40 minutes to hike. 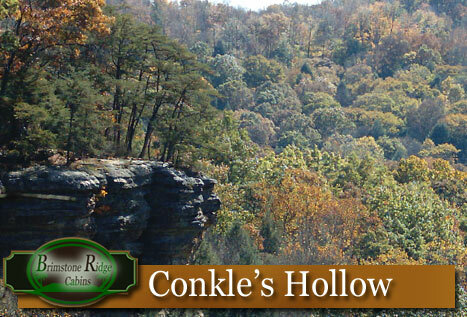 Conkle's Hollow - Conkle's Hollow has steep cliffs, hemlock-lined trails, rock formations and a paved lower trail that is wheelchair and stroller accessible. It has two trail systems - an upper and a lower trail. The rim is 2 1/2 miles long. The lower trail is about a mile in length. It takes about 1 1/2 to 2 hours to hike the rim trail and about 1 hour to hike the lower trail. 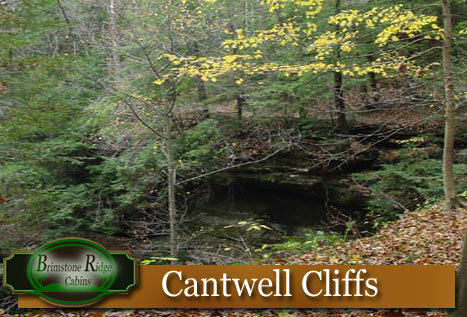 Cantwell Cliffs - Cantwell Cliffs has winding passages, steep slopes and a unique rock shelter. The trail is about a mile and takes about 1 hour to hike. Rockhouse - Rockhouse has a view of the closest thing to a real cave in the park system. 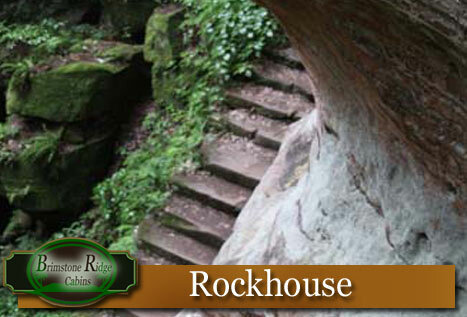 The Rockhouse trail is about a 1/2 mile long and takes 30 to 45 minutes to traverse. Local Attractions: From Hocking Hills State Park to Tar Hollow State Park, there are plenty of fun things to do! Hike the over 25 miles of trails at Hocking Hills State Park or bring your horses and ride the trails at Tar Hollow.